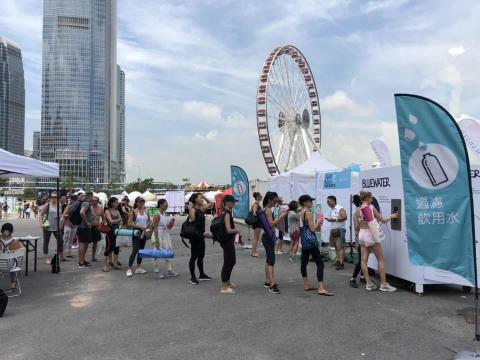 Hong Kong, September 23, 2018 – Over the two-day IRIS yoga festival in Hong Kong running from September 22 to 23, a Bluewater hydration station helped yoga fans refill their own bottles with pure water and avoid the need to buy single-use plastic bottles. During the weekend of outdoor deep breathing and mediation, Bluewater served 1,980 liters of water as pure as nature intended, which is the equivalent to 2,380 standard-sized (500ml) single-use. plastic bottles. The Bluewater public water refill stations harness the company’s powerhouse Bluewater Pro water purifier which uses unique patented technology to deliver an unmatched clean water delivery rate from a highly compact, under-sink unit smaller than an upmarket coffee maker. The Pro is designed to remove all known water contaminants such as lead, copper, micro-plastics and viruses. The Bluewater water purifier is capable of delivering almost six liters of pure water per minute for homes, businesses or public drinking water stations. 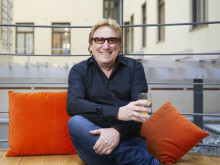 “Staying hydrated is especially important when practising a strenuous sport like yoga especially as many teachers discourage drinking during an exercise session on the grounds it is a distraction,” said Bluewater spokesperson David Noble. He noted that luckily the human body has a built-in early warning system that alerts us to dehydration risks and helps us be water wise. The most obvious sign of dehydration in adults and children is feeling thirsty. Other signals include feeling dizzy, lightheaded or tired, dry mouth, lips and eyes and reduced need to pee. Many experts such as the UK's NHS (National Health Service) recommend that people should start drinking fluids when they feel dehydration symptoms start coming on. The human body is smart and also indicates to people when it thinks they are getting their hydration right. Drink the right amount of water and the urine should be a pale clear color, while if you drink too much or consume it too quickly the urine will be completely clear. “Drinking water keeps body and mind functioning at peak performance by stimulating digestion and circulation and making it easier to absorb nutrients and flush out harmful toxins,” David Noble said.